It is all getting quite close in the race for Champions League places with four teams separated by mere three points. One of the key members in that struggle is Arsenal who travel to Goodison Park to take on Everton who are in decent form. 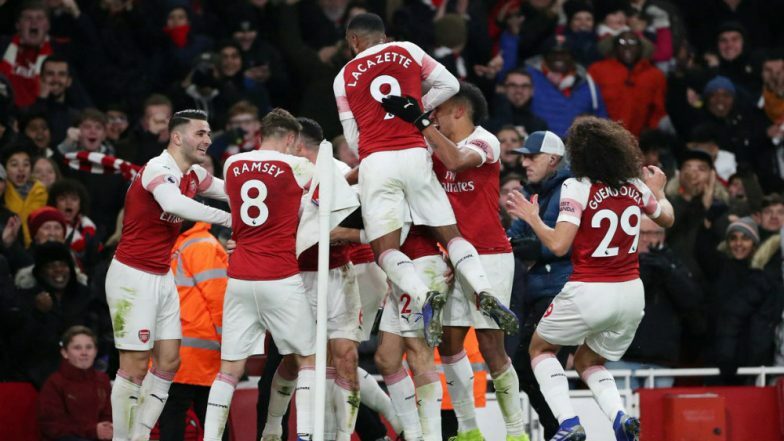 A win for Arsenal takes them to third in the league with a 2 point lead over arch-rivals Tottenham Hotspurs, a feat unthinkable at a time when Spurs were in red hot form. Unai Emery knows the game will be tough for both teams and it is encounters like these that will decide how good he really is. Everton vs Arsenal Live Football Score. The resurgence of Mesut Ozil has been the real talking point for Arsenal and Unai Emery hinted prior to the game that the former German international is ready to start against Toffees. Star trio Granit Xhaka, Aaron Ramsey and Laurent Koscielny are doubtful starters as they battle fitness related issues. Alexandre Lacazette and Pierre-Emerick Aubameyang could both make the front two and the majority of the threat comes from this dynamic duo for Arsenal. Sea Kolasinac has had been a standout performer throughout the season and he could be more than a handful for the Everton defence. Everton have some real quality players but none as talented as Idrissa Gueye and it would take the Toffees some effort to have his services next season. He can easily slot in the midfield of the elite European clubs so the Gunners must be wary of the threat he possesses. Key playmaker Gylfi Sigurdsson will carry the bulk of the attacking load for his team and needs Richardson to be efficient in front of the goal. Former Arsenal man Theo Walcott may have to settle for a place on the bench but can make an impact from the bench. Both teams are in fine form and it would take a moment of genius to separate them. A point for either of them will make Arsenal’s top four rivals happy. When is Everton vs Arsenal, EPL 2018-19 Football Match? Know Date, Time and Venue Details. In the English Premier League (EPL), Everton and Arsenal face-off on April 04, i.e. Sunday. The football game will take place at the Goodison Park, with the start time of 06:35 am (IST). Where to Watch the Live Telecast of Everton vs Arsenal, EPL 2018-19 Football Match? The official broadcaster of the English Premier League in India is Star Sports. So the fans will be able to catch Everton vs Arsenal live match action on Star Sports Select 2 and Star Sports Select 2 HD channels. If you are looking where you can watch the online streaming of the match, then you can log on to Star Sports' live streaming service, i.e. Hotstar. You can also catch Everton vs Arsenal live football score updates on LatestLY, by clicking here.